To design a website is not a daunting challenge in this digital age. We, the CloudZon Infoconnect support you with an effective and a substantial arena to achieve your business goals – yes, we are the best web designers and development service providers in the industry. 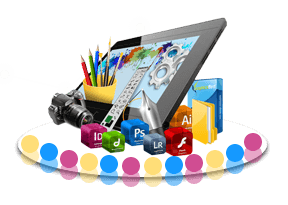 We have skilled designer personalities who can create you a relevant web design and development tools with a concurrent visual lure with specifying the services and products of your choice. Always, a responsive website design compatible with the mobile phones will render perfect. We create a web design that is cost effective, highly responsive and one which fits all sized screens for the promotion of our client organizations’ services and products. Due to the launch of HTML5 and trendy mobile app UI design, website design has to be approached differently. Our web designers are well trained about the changing demands and they seek to inculcate those changes from every now and then within our strategies and solutions for an easy navigation of custom web design that employs HTML5 and CSS 3 coding standards. A team of Bootstrap professionals in CloudZon family supports you to solve all problems depending on business website design requirements within no time by relying on PSD to HTML Conversion like PSD to Responsive HTML Conversion, PSD to Bootstrap Conversion and Bootstrap Development like Bootstrap Theme Designing or hiring Bootstrap Developer to improve your business online in an effective way. We provide WordPress theme design and development by using Content management system (CMS) for your personal or business website. One page jQuery Websites and Brochure websites for a much-focused objective or goal. We design a Brochure website with 1-3 pages to know more about your business, contact details with all your requirements. Being your success partner, we have objectives to design a website that is tailor-made with utmost dedication and sincerity. We believe in the phrase “First impression is the best one”. Thus, we concentrate to provide an impressive website that catches the sight of your clients to transform business technologically.